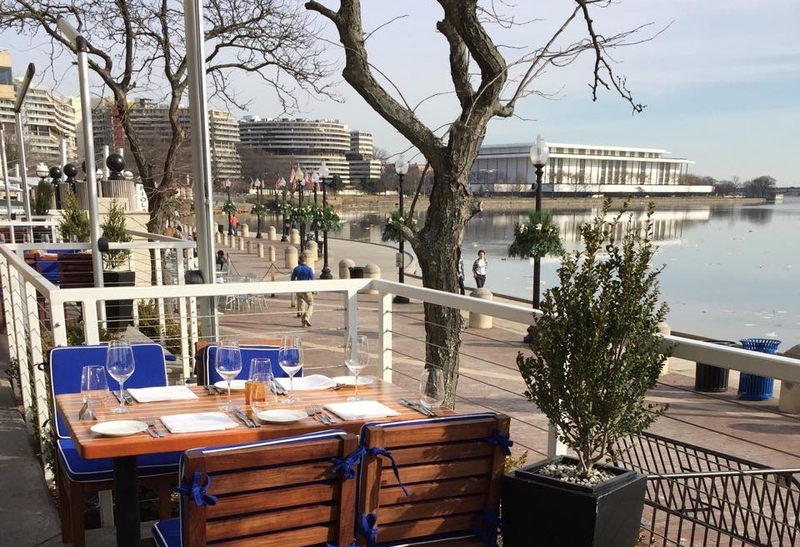 Patio season has arrived! 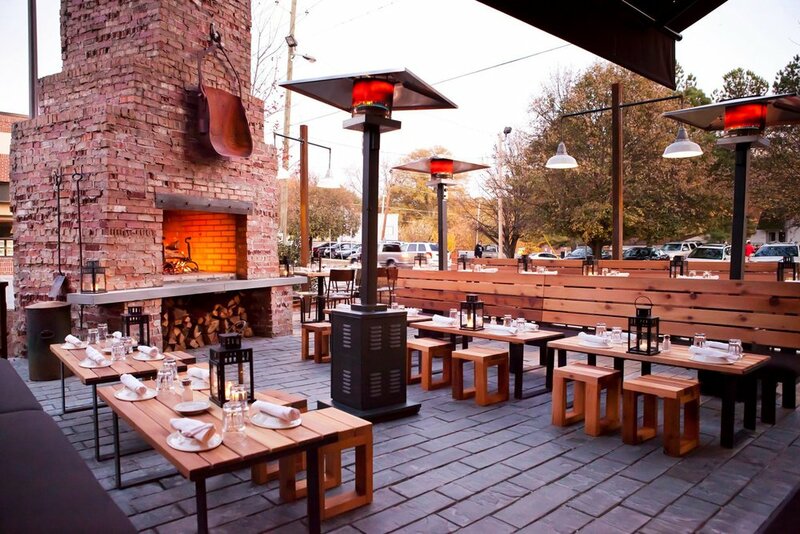 To help navigate the flurry of plans for after work drinks that will be sure to follow, we've made a short guide to some of our favorite patios across the country. Visit or take a survey. Check out these 11 restaurants with views that might just steal the show if the food weren't also so delicious! Located on the 37th floor of Two Liberty Place--500 feet above the city--R2L offers panoramic views of the City of Brotherly Love. Guests can arrive by boat, kayak, or paddleboard to catch sight of these gorgeous views of Lake Union and the Seattle skyline. Source: El Five's Facebook Page. On the fifth floor, El Five offers unobstructed views of the downtown Denver skyline. 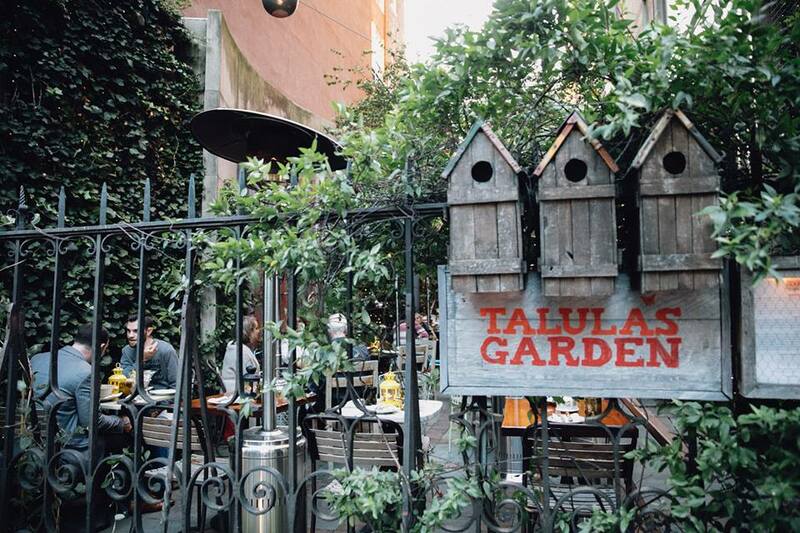 Their outdoor patio is the perfect place to enjoy the views over a drink. Source: Cafe del Rey's Facebook Page. So picturesque that they even have a livestream for it! See it HERE. Enjoy a meal at Canoe, nestled along the peaceful banks of the Chattahoochee River, and then take a stroll through the garden pathways before you part. Source: The Modern's Facebook Page. Overlooking the sculpture garden at the MoMA, The Modern boasts one of the best art collections around. 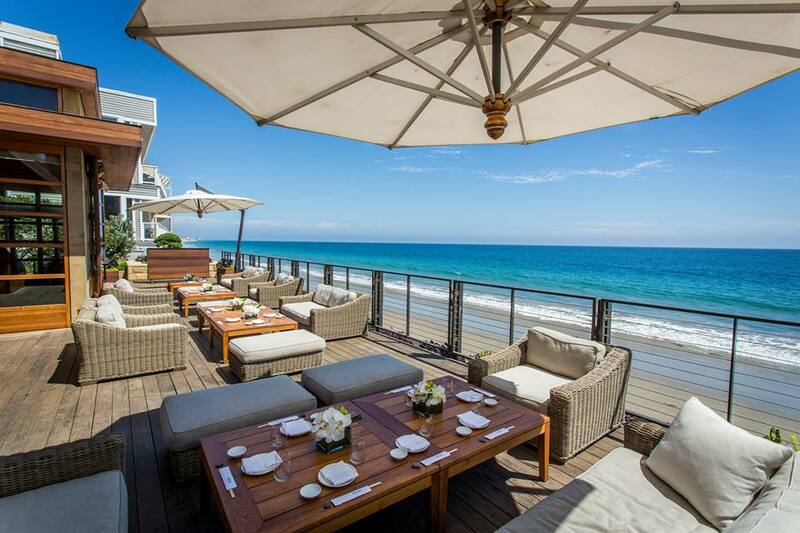 Source: Nobu Malibu's Facebook Page. Ocean views from nearly every seat. Need we say more? Source: North Pond's Facebook Page. 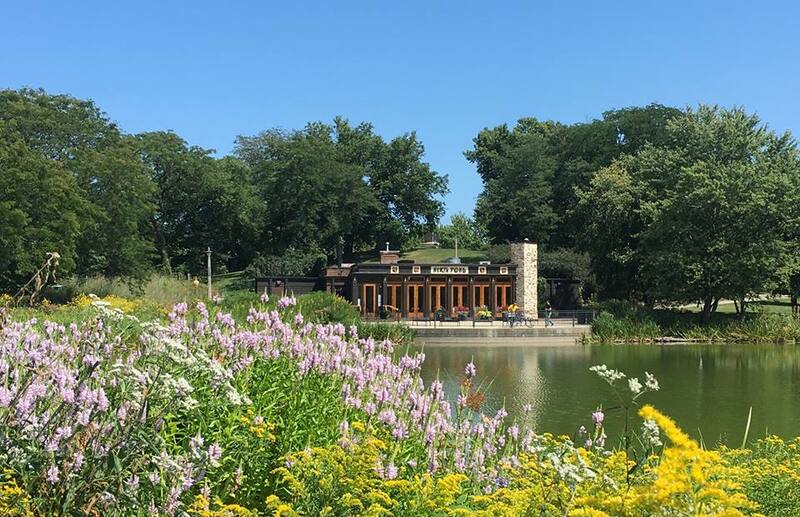 Situated on the edge of a pond in Lincoln Park, guests can enjoy both the nature of the immediate surroundings and Chicago's dramatic skyline in the background. 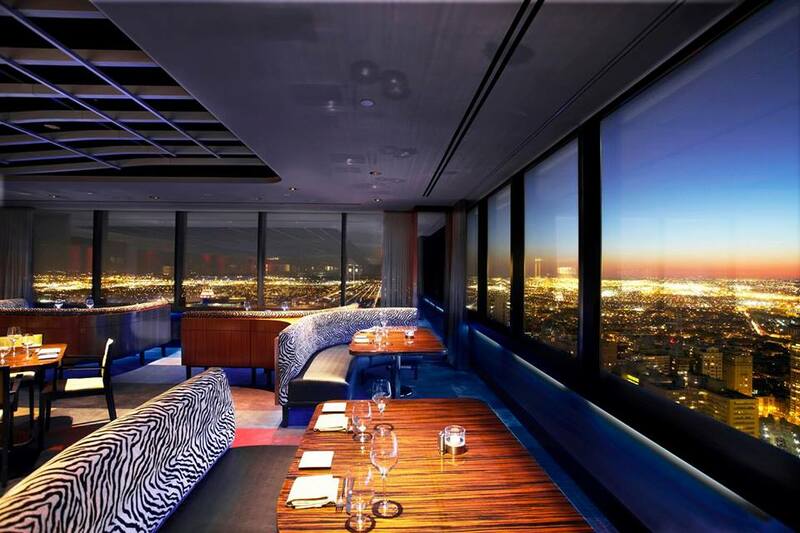 Grab a seat at Coqueta's bar and gaze out over the San Francisco Bay. 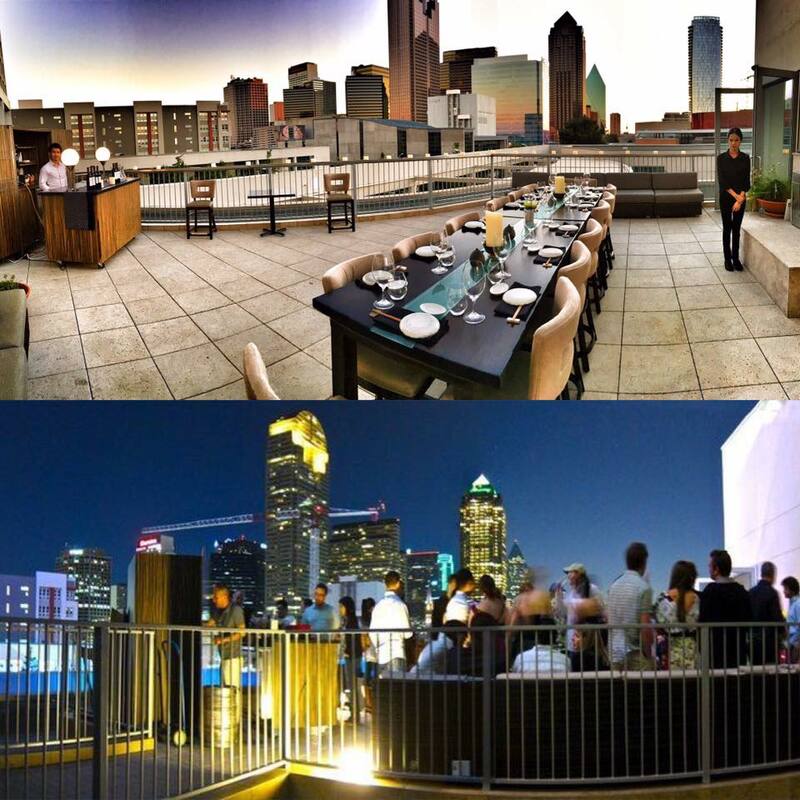 Head to the rooftop at Tei-An for unparalleled views of the Dallas skyline. Source: Fiola Mare's Facebook Page. Food is art, so even if you can't take a bite of everything, you can get an eyeful of these beautiful, visually appetizing videos. Glazing, prepping, pouring, and more. You won't be able to look away! Want to make a reservation? Click on the link below the image! Enjoy! 1. What could be more magical than this treat from minibar? Take a survey or make a reservation. 7. Why is this pasta waterfall at Sotto Sotto so soothing? 8. Have you been hypnotized by The Corner Office's affogato yet? Okay, now back to work! Who doesn't love pasta? From a classic carbonara to caviar topped gnocchi, pasta can do it all (you might even say that anything is pasta-able!). Feast your eyes on these majestic creations from top chefs at Renzell Restaurants. BRB, we need to make dinner plans immediately. Getting Trashed: Food Waste In The U.S.
Food waste has become a worldwide issue, especially within the American restaurant industry. It’s estimated that 571,000 tons of food waste is generated every year by the U.S. Restaurant industry. A staggering 84.3% of unused food is disposed of in restaurants and 14.3% is recycled, while only 1.4% is donated. It’s obvious that this amount of waste negatively impacts our environment and works against food security among many other problems. So what do we do? Organizations are working with chefs and restaurants across the country to work on reducing this waste. Here are just a few chefs we found that are leading the fight against food waste. April Bloomfield, owner of four restaurants in New York and San Francisco, is known for her ‘nose-to-tail’ philosophy. Her 2012 cookbook A Girl and Her Pig exemplifies this philosophy, including chapter titles like ‘The Not-So-Nasty Bits.’ She also openly teaches home cooks how to use every part of the animal, oftentimes the pig. Bloomfield’s ideology has become seen as a form of respect to the animal - using all possible pieces to magnify taste, as well as reduce waste. Steven Satterfield of Miller Union has designed his whole restaurant--from the kitchen layout to cook training--to fight against food waste. His cookbook Root to Leaf teaches home cooks how to use the whole vegetable--from the root to the leaf. He was even featured in the TV series Scraps, that follows chefs all over the country who are paving the way in food re-use. Satterfield has become known for his simple tips for both fellow chefs and home cooks, like serving smaller portions and repurposing scraps to be served. Dan Barber has become known as the face of the food waste movement. Most notably his 2015 pop-up restaurant WastED transformed Blue Hill NYC to be entirely devoted to the themes of food waste and reuse. Barber worked with Formless Finder to convert the interior of the restaurant, using materials like ‘mycelium,’ an all-natural and biodegradable plastic substitute, as a tabletop replacement. The menu “took root in the overlooked byproducts of our food system,” and invited guest chefs like Dominique Ansel, Mario Batali, April Bloomfield, and Daniel Humm. By the end of WasteED’s three-week run, 600 lbs ugly vegetables, 150 lbs kale ribs, 30 gallons beef tallow, 475 lbs skate cartilage, 350 lbs vegetable pulp, and 900 lbs waste-fed pigs were used. Source: Taj Campton Place Facebook page. Not only does Campton Place boast two Michelin stars, but Chef Srijith Gopinathan is the only Indian chef in the nation to have this honor. His innovative take on Cal-Indian cuisine fits nicely in the Taj Campton Place Hotel and complements their take on Cal-Indian hospitality. Don’t expect six different types of naan, but the Indian inflections on California cuisine create some of the more memorable dishes in the Western Hemisphere, such has his signature spice pot. Chef Srijith's spice pot. Source: Taj Campton Place Facebook page. Chef Srijith gave us a look into what inspires him, his favorite types of cuisine, and his first memory as a chef. Renzell: Let’s start at the beginning. What was the first dish you learned to cook? Chef Srijith Gopinathan: I remember making my first dish at 6 years old. However, I can’t take much credit for it since I was mostly stirring a pot with a long wooden ladle under the watchful eye of my grandmother. We made savory rice porridge with green lentils and grated coconut for 25 of the farmers harvesting paddy (rice) for us. R: Describe an average day at Campton Place. SG: I spend most of my day thinking about food, and the rest collaborating with my team, developing recipes, executing the dishes, and plating the finished product. R: What inspires you to continue to create new dishes? SG: I am very inspired by what I see around me everyday: the work done by my peers and coworkers, local market produce, and, of course, my love for eating delicious and unique food. R: Do you have a favorite ingredient to work with? SG: This changes every once in a while, but right now coconut is one of my top ingredients. R: Do you have a favorite dish to cook? SG: I wouldn't say I have a favorite dish, but I love cooking shellfish. R: Do you ever venture outside the typical cuisine of Campton Place? SG: Yes, I do… I love Chinese and Mexican food a lot. Casual Indian street food and as always good pastas at some of super casual Italian joints. Make a reservation or take your survey HERE. You might be surprised to find out there is such a thing as the Best Restaurant in the World. With Michelin 3 star ratings spreading all over the globe, how could there ever be just one? How is it rated? What is taken into account? Who gets to give it such high honor? Well, believe it or not such a list of the 50 Best Restaurants in the world does exist, and there IS a #1, and it is in New York. A group of elite persona from all over the world gather each year, this time in Melbourne, Australia, to crown a winner. The event has been nicknamed- “prom night for restaurants”- and this year they have chosen Eleven Madison Park as their king. Chef Daniel Humm sits at the throne with this Michelin star expertise, his French-influenced bistro serves exceptional Greenmarket cuisine that blew the competition out of the water. Chef Daniel has created a dining experience like none we have ever seen before. Located in Manhattan's Flatiron neighborhood, on Madison Avenue between 24th and 25th streets. Eleven Madison Park offers a tasting menu of 11 courses, which lasts around 3 hours, and costs an average of $295 per person. Closed for the summer for renovations (with a temporary location in the Hamptons called EMP Summer House), Eleven Madison Park is reopening next month. Snag your reservation here. Ambitious food blogger Julian Fang was able to squeeze in a reservation—pre-renovation—and give the 11 course menu a try, and by the looks of it—it was worth every penny. Everything from the decoration to the art deco style interior amazes it’s guests and the careful attention to every detail is well represented in each dish. The very first thing offered are light amuse-bouches, the bite-sized cheese gougères are served at just the right warm temperature and sprinkled with salt. Of course no tasting menu is complete without an excellent wine selection. As the guests enjoyed the cheese gougères they drank the 2006 Arnot-Roberts syrah specially selected by Chef Daniel. The wine was presented alongside the round of hors d’oeuvres that were beautifully presented on a long narrow tray. Each one made to cater different tastes for different guests and they did not disappoint. A unique take on vegetable texture—you’d love the carrot marshmallow. It’s a playful vision of garden flavors with a different consistency made to make you wonder how it’s made. Next to that you can see the tuna tartar, a beautiful blend of texture and taste. For something you can only get at Eleven Madison Park, you can have its famous foie gras. It is first seared, then cured, and made into pudding. On this preparation it was topped with an asparagus gelée. The egg quiche tartlet is probably the easiest to recognize on the tray. It’s morel mushrooms are sure to make your mouthwater. By now the wine glasses have emptied or are running low, guests may choose to continue with the wine selection available or mix it up with a Mint Julep. It comes in beautiful gauntlet with mint leaves that are out of this world big. Alas, the beginning of the meal arrived with the first basket of bread. The warm delicious rolls were accompanied by two kinds of butter; one made with goat milk and the other with cow milk. 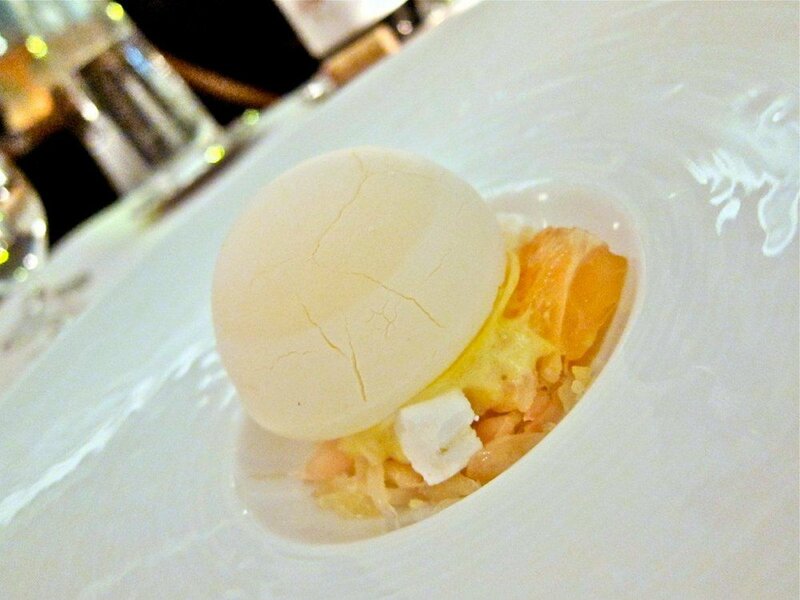 Presenting the first course, Sterling Royal caviar, was burrowed with spheres of smoked sturgeon and salmon cream. Following that is a course starring three ingredients at three temperatures: Santa Barbara sea urchin, custard with green apple, and shellfish ragout. All together they make a decadent, sour, briny, and mysteriously great combination. 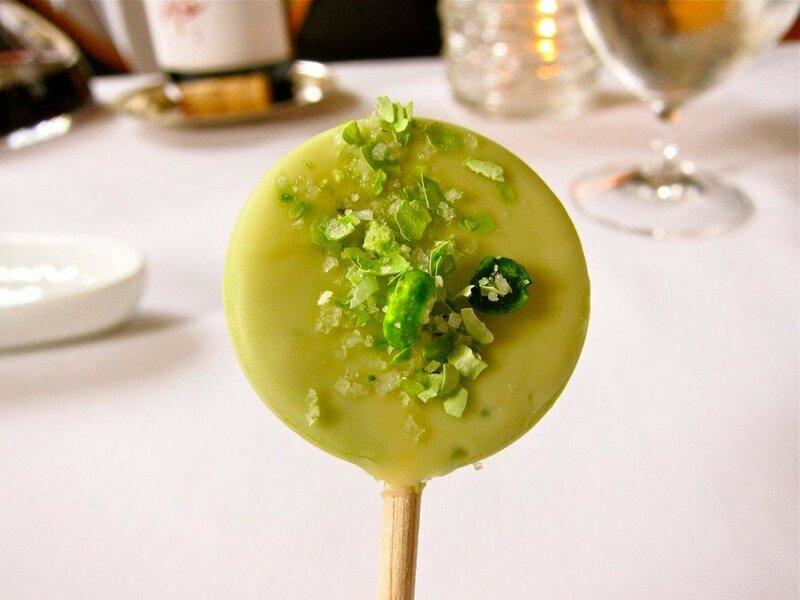 The palate takes a pause with a delicious garden-pea-and-mint lollipop which is presented in a glass vase filled with grass. Alongside its imaginative combinations and presentation, Eleven Madison Park prides itself on serving locally grown foods. Thus, the Spring Out of Winter course unites freshly harvested asparagus with jamón ibérico. It is immediately followed by another marvelous course—a foie gras torchon that is dedicated to melt on your tongue. Accompanied by tête de cochon, pickled spring vegetables, and horseradish. Next up is a supple, buttery Atlantic halibut. Chef Daniel seared it with smoked spring garlic and crayfish. Then guests were served a vivid plate of poached Nova Scotia lobster with "young" carrots, ginger, and vadouvan-spiced granola. Four individual preparations of Colorado lamb were served with the large, pink, herb-roasted cut in the center of this plate. The lamb ravioli, lamb sausage, lamb short rib, and sweetbreads made a delicious companion and set the stage for the main event. Delivered personally, the star of the meal is the Muscovy duck stuffed with lavender and glazed with honey. The manager even takes the time to carve the bird so everyone can watch in amazement and prepare their tastebuds. Only the very prime morsels were served alongside asparagus, ramps, and strawberries. No French dinner is complete without a little cheese, so a fromage cart pushed by a server pulls up tableside. The server then distributes out a selection of artisanal cheeses based on the diner's preferences. The cheese is wonderfully paired with raisin walnut breadsticks. On to the final stage: dessert. First up is the Soda Pop, which literally pops at every bite with the help of Pop Rocks. It is composed with tangerine foam frozen with liquid nitrogen. Not your normal milk and cookies, the Milk and Chocolate course uses dehydrated chocolate mousse, combined with caramelized white chocolate sorbet, browned milk solids, and other savory cocoa textures. Last but not least guests are offered the traditional French Macaron with a wide variety of flavors. They came in pink peppercorn with caramel; chocolate banana; peanut butter; coconut with chocolate ganache; Meyer lemon; toasted sesame with green tea; and grapefruit with fennel. Chef Daniel sends anyone who dines at Eleven Park Madison with a box of jellies as a parting favor. Hollywood has long been the home for movies and TV, yet most rely on sets and sound stages. Few tourists realize that many of the restaurants they dine at after they tour the studios are home to some of their favorite scenes. Check out the list of Renzell restaurants that have been featured on the screen. Benjamin (Matt Damon) avoids this 'cafe' as it became a constant reminder of his late wife; but *SPOILER* he is finally able to go at the end of the film with his kids. Toward the end of the series, Vince (Adrian Grenier) meets Vanity Fair writer Sophia (Alice Eve) at this restaurant. Although originally filmed at the L'Orangerie, the space now houses the infamous sushi house Nobu. And—lucky for us—the layout remains relatively similar to the scene shot in Ferris Bueller. Brandi and Paul get into an epic screaming match in classic Real Housewives fashion—all while dining at the famous restaurant from Wolfgang Puck. Chef Niki Nakayama has come to be seen as one of the only female masters of kaiseki in the world. Her episode on the Netflix documentary follows her story and the hard work that goes into her LA restaurant n/naka. From Friends to The Devil Wears Prada and everything in between, NYC has been the go-to backdrop for loads of TV shows and movies. Iconic scenes for the big screen and the small screen have been filmed at classic landmarks all around the city, attracting tourists everywhere...including restaurants. Renzell Restaurants have been the place for some historic scenes—check out the list of Renzell Restaurants featured in some of our favorite TV shows and movies. While Andy (Anne Hathaway) is trying to get a break from her crazy work schedule—and her (even crazier) boss Miranda (Meryl Streep)—she grabs dinner at this classic Tom Colicchio restaurant with her dad. Dev (Aziz Ansari) meets celebrity chef Jeff Pastore (Bobby Cannavale) at this high-end restaurant sampling dishes from fresh mozzarella to beef carpaccio. Carrie (Sarah Jessica Parker) reveals her engagement to the rest of the girls at this Michelin-star restaurant inside the Museum of Modern Art. While dissecting the Eminem film 8 Mile, Dev (Aziz Ansari), Arnold (Eric Wareheim), and Denise (Lena Waithe) dine at this popular Chinese restaurant by Danny Bowien. Carrie (Sarah Jessica Parker) takes Big (Chris Noth) to—arguably—New York's most famous restaurant (also, currently ranked as the World's Best Restaurant). Abe (Charlie Hofheimer) takes Peggy (Elizabeth Moss) to this long-time establishment, which has been a MacDougal Street institution since 1937. Jane (Meryl Streep) and Jake (Alec Baldwin) grab a drink at their 'hotel' bar, which is actually filmed inside this high-end Italian restaurant from Mario Batali. The hit first season of Chef's Table features an episode following Dan Barber—of Blue Hill and Blue Hill at Stone Barns—who has become known as a pioneer in the farm-to-table movement. This film ends with Nick (Aaron Eckhart), Kate (Catherine Zeta Jones), and Zoe (Abigail Breslin) opening their own bistro in what is actually home to The Little Owl. Human beings have always tried to expand our borders, go further than the last, and essentially be better and bolder. Take for example, the race to space, America vs. Russian intelligence for the moon. Advances in science and civilization have always been about competition. Food is no stranger to these sort of gatherings and competitions. For years humans have gone head to head against each other to see who could eat the most, the fastest, and now we have added taste. I’m not entirely sure when we became obsessed with eating spicy food but at one point, I think we took it too far. I am not referring to the spicy food that comes in light sauces like BBQ or salsa. I am talking about the tongue numbing, roof of your mouth burning, forget about having taste buds ever again- kind of condiments that really leaves you wondering, was that really worth it? Long gone are the days where a simple hot dog eating contest would suffice this void that spicy chili peppers have now filled. In the spirit of keeping things new and exciting there is a small population of people brave enough to put their mouths through this sort of… torture. But even they have to draw the line somewhere, and this newfound KILLER chili might be it. I say KILLER because I mean it quite literally, this chili pepper is so hot it could very well murder you. This chile, dubbed Dragon’s Breath, puts the previously “hottest chili ever” and it’s cousin the habanero to damn shame. Cultivated by one Mike Smith in North Wales, Dragon’s Breath, ranks a whopping 2.48 million on the Scoville scale. The Carolina Reaper, is measured at 2.2 million. And if you’re anything like me and have no idea what those numbers mean- military-grade pepper spray is measured at a cool 2 million. OK, maybe you don’t scare easily with numbers, maybe you’re more of a visual learner- not a problem. Dragon’s Breath is in fact so hot that it has not been consumed by any human mouth yet because that 2.48 million amount of capsaicin could torch your airways, causing them to close up and you’d go straight into anaphylactic shock, so yeah just picture that. Just in case you thought chilis were made solely for human consumption, let me be the first to disappoint you, Dragon’s Breath was created to help aid anyone who may be allergic to anesthetics. According to Smith, the pepper is literally so hot it can be used to numb the skin. Scientifically speaking, this is a breakthrough for chili cultivation, so we have that to applaud.